“If I don’t do laundry today, I’m gonna have to buy new clothes tomorrow” – Anna Paquin. Last time after I misplaced one of my favorite scarves at the laundry, I finally learnt my lesson. I decided to learn and master the skill of dry cleaning at home some of the delicate fabric. I spent some time in the market and spoke to some of my friends before I finally settled on the Dryel-at home Dry Cleaning starter kit. Now dry cleaning is not anymore a service I pay for. Usually clothes of wool, rayon and silk are marked for dry cleaning. It is important to choose materials like leather and fur for the same. Dry cleaning in such cases help them have a longer life. WOOLITE® At-Home Dry Cleaner prevents shrinking, stretching or discolor of sensitive fabrics and also deodorize them. Like most dry cleaning kit it uses the bag and steam method. It is important not put two many in one dry cleaning bag. Just two or three is good, but it depends on the items. If it’s a heavily worked sari, or gown, it is better to keep it single. After placing the clothes carefully in the bag you need to ensure they can rotate with ease. Now steam passes through as you place it inside the dryer. This occurs when the dryer heats the sheet. 30 minutes manual setting is ideal for the dryer. For certain products such as the WOOLITE, 6-count package can handle cleaning up to 24 garments. You can use a stain remover usually delivered in spray bottles to cover the patch of stain on the cloth. This should be done carefully so that the spot does not spread its dimensions. This way you can ensure the fabric will not be discolored or spoiled. This seems like another art, doesn’t it? Clorox 2 Laundry Stain Remover for Colors, DP (de-pee) Stain & Odor Remover and the Instagone Stain Remover Multi-purpose Stain Remover are some examples. Use of fabric softeners or conditioners packed in bottles can be helpful in softening out those delicate fabrics. They can be used on the dryer sheet while steaming. Conventionally it is applied after rinse cycle in the laundry. Available in various forms, they leave a fragrance on the clothes. Did you ever try to squeeze a lemon on the stains of your clothes? They can be left for sometime and then that particular place can be washed a little or even dry washed as mentioned above with the home kit for good results. This is best for the lighter stains. Some organic fuel such as kerosene oil could be used for fabrics which you are not so fond of and then scrubbed as specific places before the steamed dry cleaning process. This should be complemented well with proper dry cleaning, steaming and pressure iron to return the new look of the clothes. Using steam generating irons or pressure irons can give the professional dry cleaning effect when used skill fully on clothes. Ironing should not be done with starch. Only slight water can be sprinkled for that pressed look if desired. 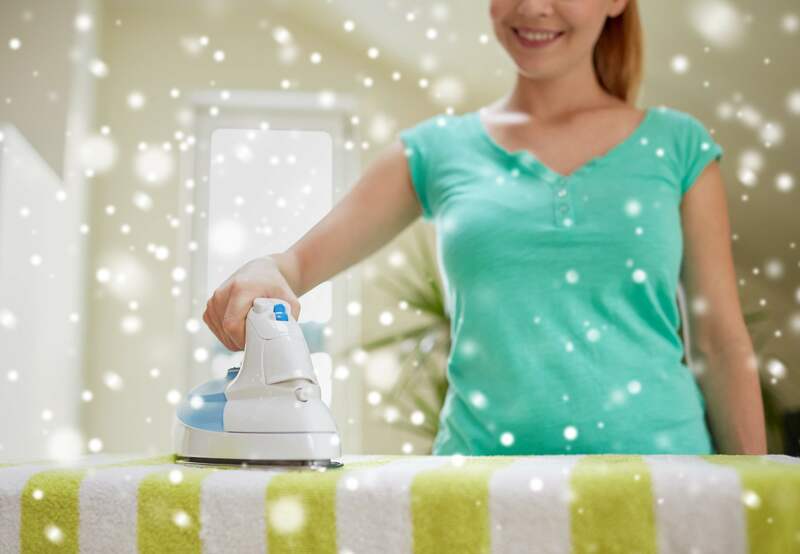 If anything falls on the fabric, immediately wash off that spot with slight water or any liquid spot remover, and you can use your hair dryer to blow that spot dry. This will instantly fade the stain. Cleaning, no matter how convenient, is not the best solution when needed frequently. Give your clothes a longer life span especially when they are dearly bought.